All across the globe, small children spontaneously speak of previous lives, beg to be taken 'home,' pine for mothers and husbands and mistresses from another life, and know things that there seems to be no normal way for them to know. From the moment these children can talk, they speak of people and events from the past-not vague stories of centuries ago, but details of specific, identifiable individuals who may have died just months, weeks, or even hours before the birth of the child in question. For thirty-seven years, Dr. Ian Stevenson has traveled the world from Lebanon to suburban Virginia investigating and documenting more than 2000 of these past life memory cases. Now, his essentially unknown work is being brought to the mainstream by Tom Shroder, the first journalist to have the privilege of accompanying Dr. Stevenson in his fieldwork. 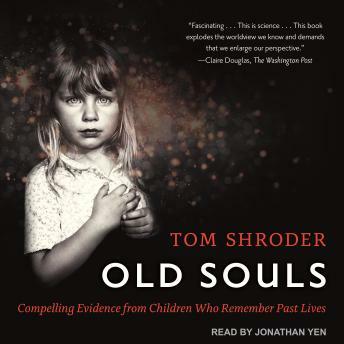 Shroder follows Stevenson into the lives of children and families touched by this phenomenon, changing from skeptic to believer as he comes face-to-face with concrete evidence he cannot discount in this spellbinding and true story.